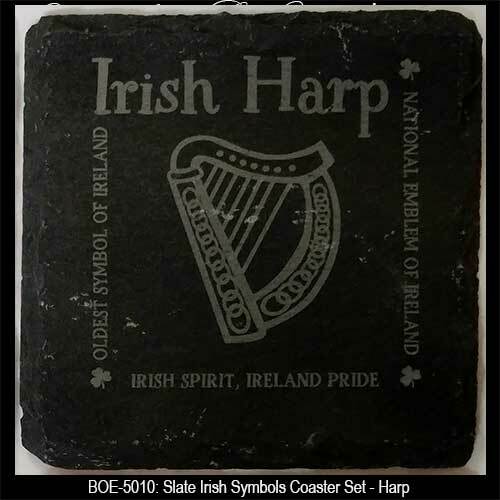 These Irish coasters each feature a bit of information about the respective symbol. Claddagh - Love, Friendship, Loyalty, Heart for Love, Hands for Friendship, Crown Above for Loyalty. Irish Harp - National Emblem of Ireland, Irish Spirit, Ireland Pride, Oldest Symbol of Ireland. Shamrock - Holy Trinity, Faith, Hope & Love, All Things Ireland, Good Luck, Good Fortune. 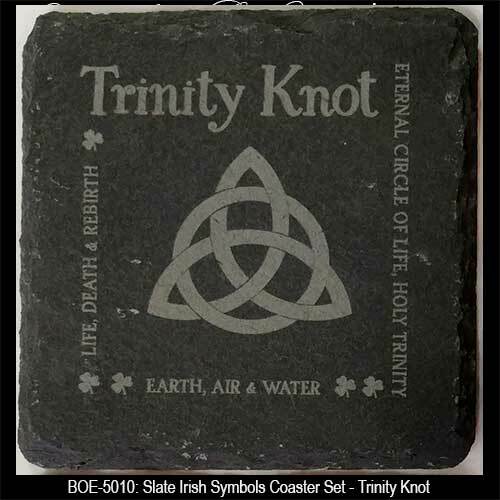 Trinity Knot - Eternal Circle of Life, Holy Trinity, Earth, Air & Water, Life, Death & Rebirth. 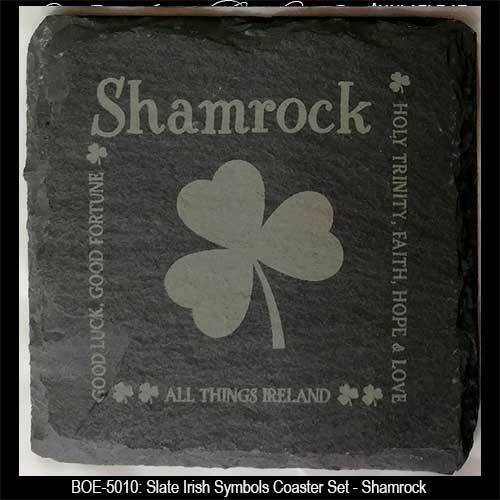 Each slate Irish coaster in this set of four boasts a different symbol along with a verse or two about the icon. 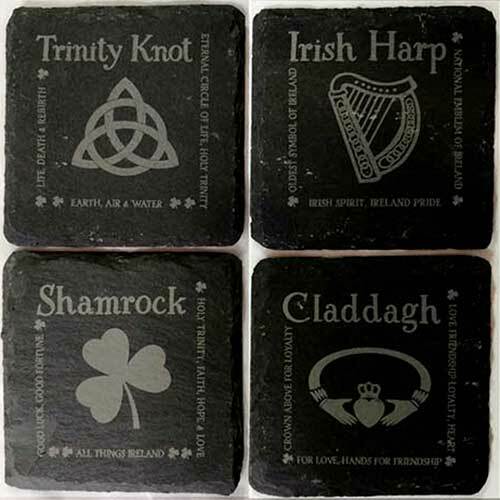 These Irish coasters, with padded feet, include the shamrock and the Claddagh along with the Trinity knot and the harp, and measure 4" x 4" square. 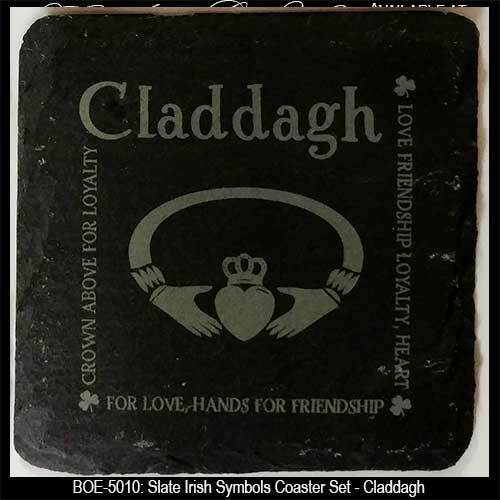 The Irish symbols coasters are made in the United States and are gift boxed with printed history cards for the Claddagh and shamrock along with the Celtic knot, complements of The Irish Gift House.